ATLAS Rigging & Transfer is your single source solution provider for all your baggage handling systems and equipment service needs. We safely install baggage handling systems and TSA equipment. We also install maintenance access platforms and OSHA equipment guarding. Take advantage of our complete solution that includes dismantling, removal, crating, transporting, unloading, installing, and ongoing maintenance. The work on terminal 2 included operation, office, baggage, public, security, and concession spaces. Also integrated are a reconfigured US TSA (Transport Security Administration) checkpoint, enhanced restrooms, upgraded seats boasting USB charge points and new signage and lighting systems. All work was performed while the terminal remained fully operational. The scope of the project consisted of a full replacement of the existing CBIS (Checked Baggage Inspection System) and CBRA (Checked Baggage Resolution Area) within the terminal basement level of the airport. The contract included both the Baggage Handling System and General Construction activities. 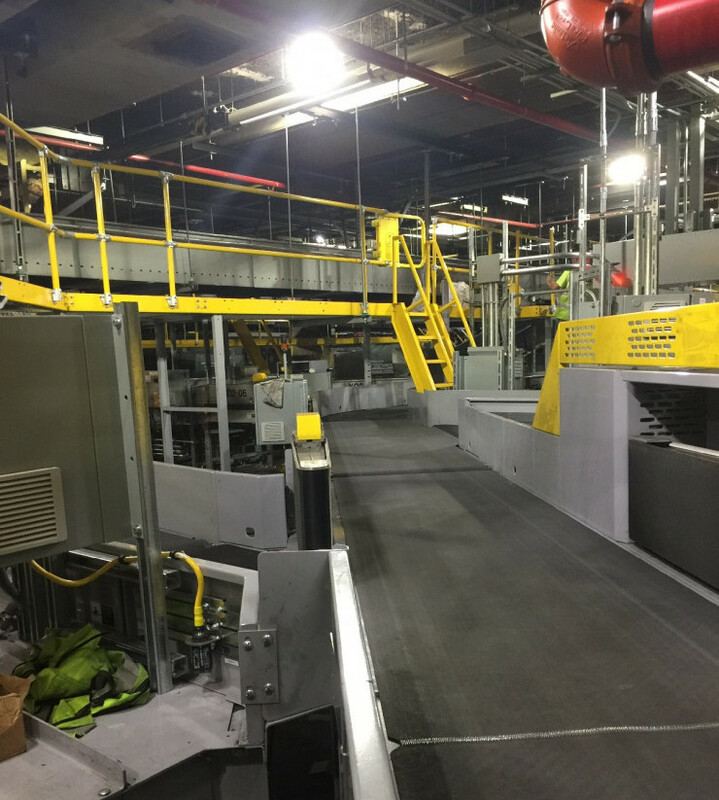 When completed, the project had over 3,600 linear feet of new conveyor, including more than 100 power turn and merge units and 4 new EDS machines improving baggage security and processing efficiency. This project was a multiple phase project broken up into several sections. In terminal 2, the airport was in the process of expanding operations for Southwest Airlines. The overall footage of the project was approximately 4500 feet. To keep up with the current load, a temporary line was designed to transition baggage from the current terminal operations to a new expansion area at the Humphrey Terminal. Phase one of the project called for the installation of overhead temporary baggage handling lines that connect current terminal baggage handling operations with the expansion. Work transitioned through both airside and landside operations. Much of the overhead conveyor was installed over existing offices and other structures at the Humphrey Terminal to connect to the existing operations. In the second phase, the existing make up carousels in the structure were dismantled and removed from the site. New make-up units were installed in their place. Also, new overhead conveying systems, and transitions were installed to connect the new make-up units. In phase three, the entire system was tied together to utilize the new make-up units installed in both the expansion area and the existing area. Work included floor to ceiling layout of overhead lines, header steel, and make-up units. Work also included installation of make-up units (including all associated welding, anchoring, and fitment), side guards, turns, transitions, and catwalks. Finally, we assisted with testing and inspection for validation by MAC and TSA.